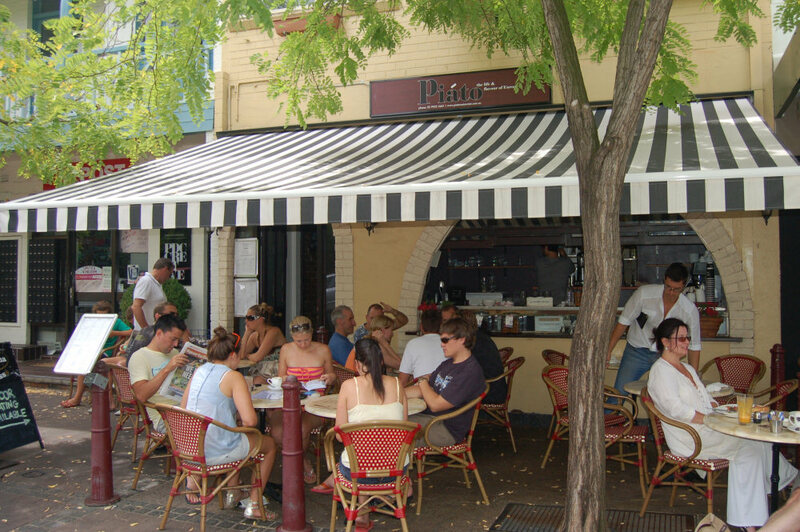 Blues Point Road is a haven on the lower north shore for any café aficionado. 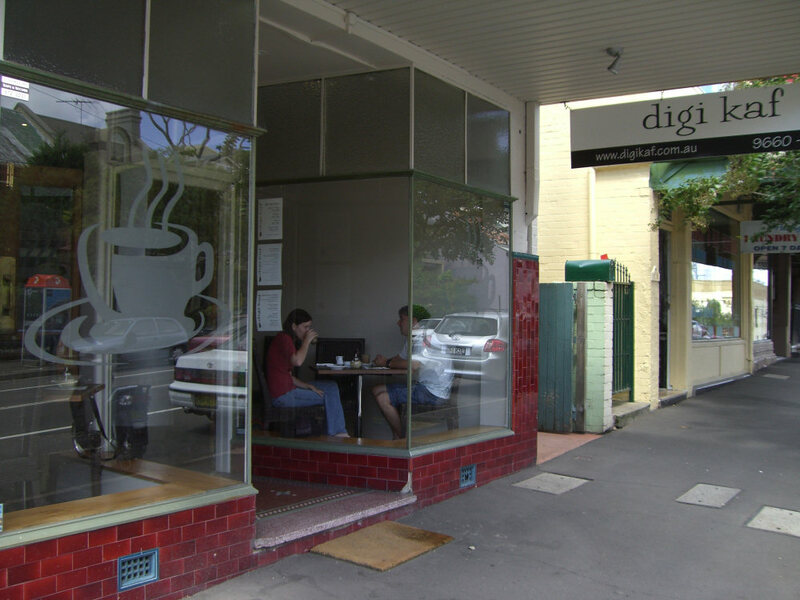 As you drive down towards the harbour you’ll notice the the west side of the road bristling with cafés. One of these is Piáto, a quaint establishment that is deceptively large on the inside and through to the courtyard (they’re open for lunch and dinner as well). We were greeted as we sat at our table to a torrent of flies which we hope is not common. A waiter arrived within seconds of our final guests arriving who obviously weren’t ready. Drinks weren’t offered to them. The ordering process was also extremely rushed with one of us not even able to have time to add sides before the waiter disappeared. We also had a variety of waiters and the barista shouting orders back & forth over our heads and asking where the food or drinks were for a specific table. A few choice words could also be heard behind the counter as well. 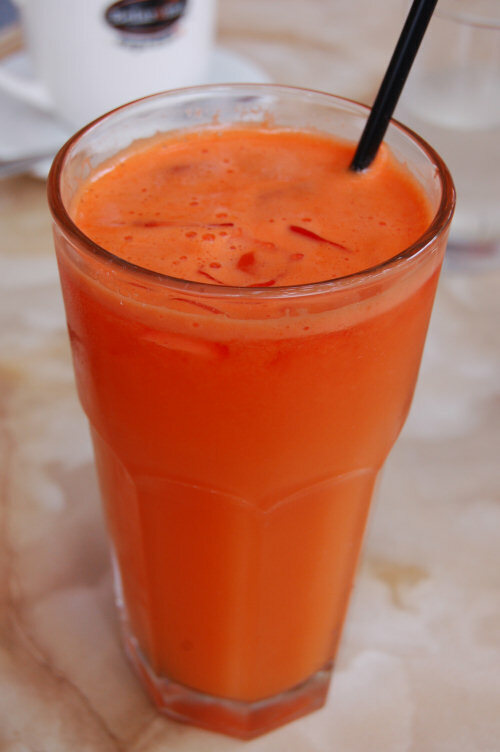 The freshly squeezed juices available are orange, apple, carrot, pineapple, watermelon, ginger and celery. One of us ordered carrot and pineapple ($8) but instead received carrot and orange. The blend mostly contained carrot but was cold and fresh nonetheless. 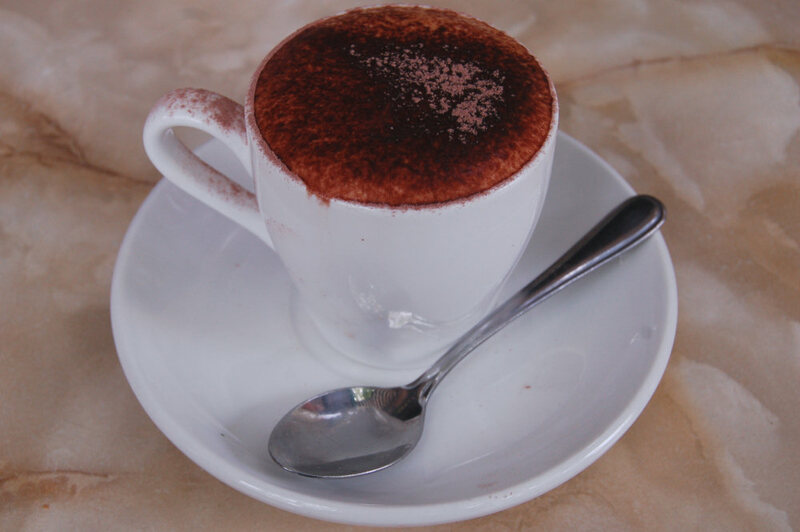 The coffee at Piáto was a pleasure to drink thanks to an accomplished but at times flustered barista. The skim cappuccino ($3.50) was well made and the blend obviously fresh. The pancakes ($13) were popular choice at our table. 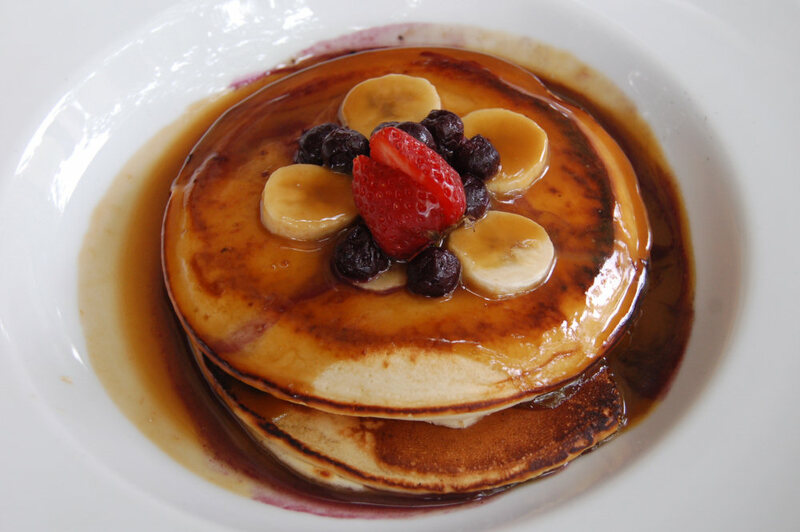 They are topped with berries and bananas and then smothered with a butterscotch sauce. Their size is deceiving as they were very dense and filling. The sauce was sweet and rich but overall a well presented and tasty dish. The eggs can be ordered anyway. 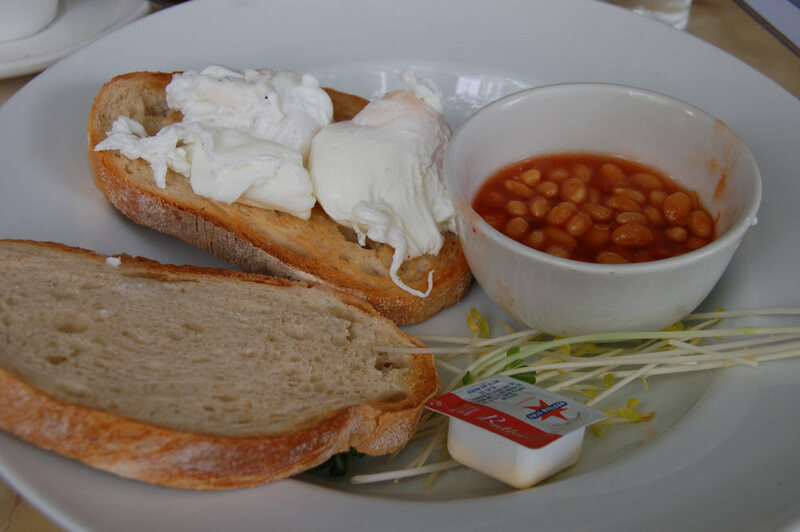 One of us chose poached eggs with sourdough toast ($8.50) with a side order of baked beans ($3). The eggs unfortunately has no form to them and the presentation of this dish was not very appealing. The bowl of beans had sauce and what we hope was egg on the side of it. The beans themselves tasted like the standard store-bought variety, ie nothing original or home-made. 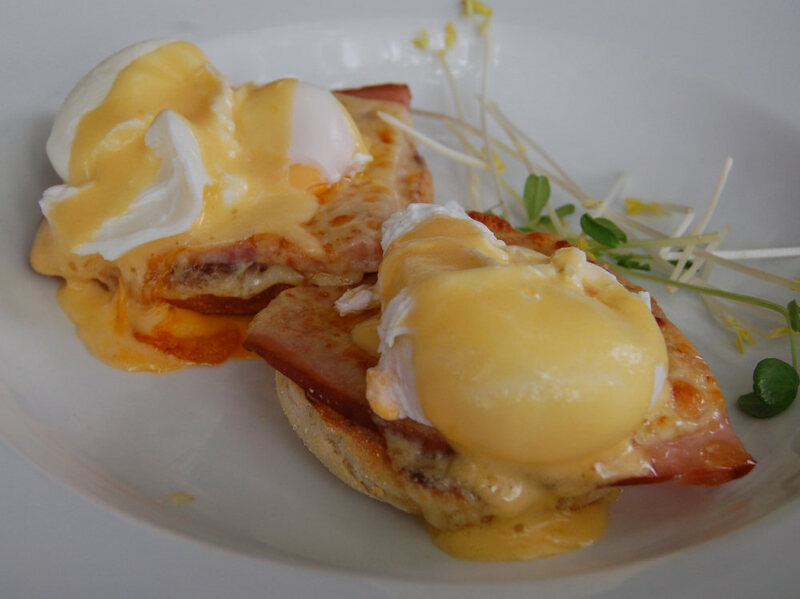 The eggs Benedict ($14) stays with tradition in that it comprises of two poached eggs, ham and an English muffin. Some cheese is thrown into the mix and compliments the meal well. The meat was a nice thick honey leg ham and the hollandaise sauce was satisfactory. Thankfully for this dish, the hollandaise helps to disguise the aforementioned poorly poached eggs but as you can see the yolk and white had been totally separated. Being spoilt for choice in the area, you’d be forgiven for trying one of the other establishments along Blues Point Road. The food was reasonable but we’d pass it by next time. agree with your assessment; this place is a dud but it is always rammed. the waiters have built up a bit of a personality cult.